Bernadette Hinkle, vice president of administration and finance at Arkansas Tech University, has announced the appointment of Suzanne McCall as controller. As controller, McCall will manage all aspects of accounting and financial reporting for the institution. She will act as the primary liaison with external and internal auditors, coordinator of the financial year-end close and the lead staff member on the annual independent CPA audit. She will also participate in institution-wide initiatives, providing financial expertise to various levels of management in the organization. Prior to joining ATU, McCall was an auditor with the Arkansas Division of Legislative Audit for 10 years. 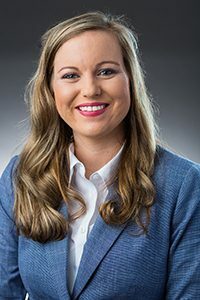 She holds a bachelor’s degree in accounting from Harding University and a Master of Business Administration degree from the University of Arkansas at Little Rock. McCall resides in Russellville with her husband, Clay, and her child, Abigail.